Posted on March 17, 2011	by Derek "Gamer Crash"
As I mentioned in a previous post, I guess you could call me a casual MK fan. I can remember a time when I pumped quarters into arcade machine bearing the Mortal Kombat II and 3 logos. I never really got into the 3D fighting versions so it’s been a while since I’ve thrown a spear at someone or froze someone with a ball of ice. I have to admit though, with all of the news coming out about the new Mortal Kombat, my interest has been piqued. I was thrilled to learn it would be in Boston for PAX East. Thankfully, I hit the WB Games booth during a lull in the crowd (or maybe the first Rage Panel) and managed to not wait long in line. In an act of complete awesomeness, Netherrealm and WB brought along about 8 arcade style cabinets with Mortal Kombat playing in them. Only 1 or 2 of the machine featured actual arcade sticks, while the others had traditional Xbox and PS3 controllers sticking out. Settling in on a PS3 booth, I quickly realised that this game looks fantastic and features some extremely smooth and fluid animations. The characters…excuse me….kharacters….look great and perform their moves with some slick motions. The roster featured about half of the…kast…you’re going to get in the retail version. The machine I played on featured the new tag team mode which is something you’d see in a Marvel Vs Capcom game. You can tag characters in and out of matches and get assistance from your teammate. Only thing missing was the over the top massive hyper combos. Remembering my former days, I picked my favorite, Sub-Zero, and paired him with another favorite of mine, the yellow cyborg, Cyrax. Surprisingly, I had trouble pulling off some of the simple moves like Sub-Zero’s ice blast. I guess my skills have degraded significantly more than I thought in this one. Totally on me though, as the moves featured the same button presses you remember. Cyrax felt really fast and featured some brutal moves. Sub-Zero to me felt slower for some reason and it took me a bit longer to nail down his pace. Something to get used to I guess. Overall, I had a ton of fun playing the game. I’m really glad the game is bringing back the side scrolling fighting and ditching the 3D arenas. It feels like an updated version of the good fighters back in the day and that’s a great thing. It’s visually impressive with kharacter’s outfits tearing and ripping based on the damage they take and plays like you’d expect it to. 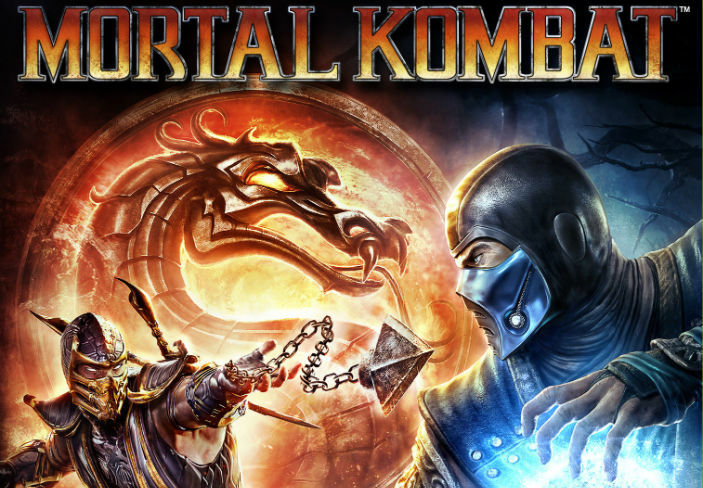 If you’ve been craving a return to the olden days for Mortal Kombat, look no further when this drops in April. This entry was posted in PAX East 11 and tagged games, previews, PS3, Xbox. Bookmark the permalink. I hate fighting games with a passion — probably because, despite growing up with Super Street Fighter Turbo and Mortal Kombat, I never evolved past being a hopeless button-masher. I do have fond memories of sitting down in front of the tv with a couple friends and my brother, and a print-off of ‘finishing moves’ and all those goodies (back when we actually used AOL!) And everything I’ve seen so far screams old-school Mortal Kombat, so I’m actually a little interested in the game. The recently released demo is only on PSN, right? I always convince myself that i’m actually going to learn the moves and try to get good at fighting games but i can never hang in long enough. Just doesn’t appeal to me i guess to be competitive online or what not. I’m glad MK is shipping with a ton of content though because it makes the game more appealing to people who don’t want to get smoked online. As for the demo, yeah it’s currently playstation only and became available this week for us non-PS+ members. No word on an Xbox demo yet though which is kind of suprising.